I saw my first Circumhorizontal Arcs (Fire Rainbows) display in Johor Bahru, Malaysia. A couple days ago I experienced them again in Hoi An, Vietnam. The scene looked much more spectacular than this. All I had with me at the time, was my iPad mini and this is the best photo I could get. Zooming in on the fire rainbow provided very poor photos. The iPad mini and iPhone (and other smart phones) have remarkably good cameras for many shots. But for a few types of shots they are very poor. Getting a good shot of this rainbow was one such case. I biked home and got my Canon PowerShot SX60 HS and took this photo. I had actually posted about the phenomenon of circumhorizontal arcs on my science blog in 2006 before I had seen them for myself. A circumhorizontal arc (also known by the exciting name, fire rainbow) is an optical phenomenon – an ice-halo formed by plate-shaped ice crystals in high level cirrus clouds. 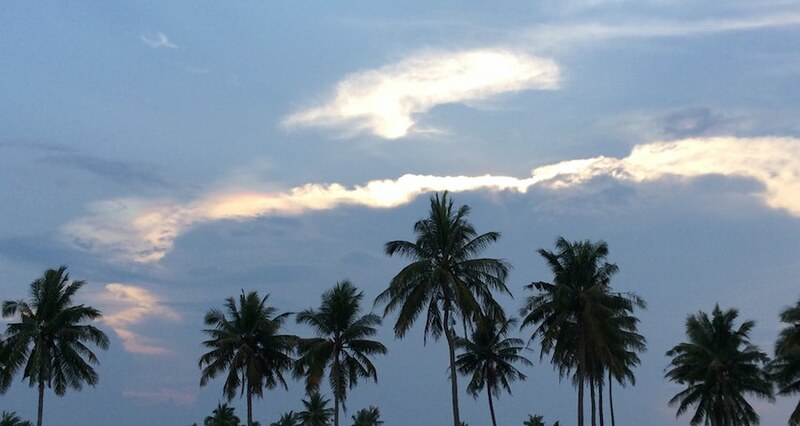 If the cloud is at the right angle to the sun, the crystals will refract the sunlight just as when rainbow is created. 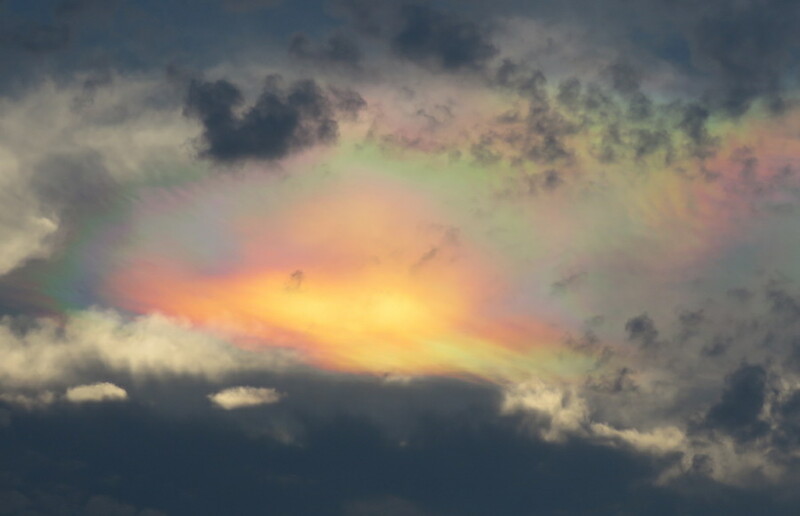 Fire rainbows can only occur when the sun is 58 degrees or higher above the horizon and when the clouds or haze contain plate-shaped ice crystals. The arc has a considerable angular extent and thus, rarely is complete. When only fragments of a cirrus cloud are in the appropriate sky and sun position, they may appear to shine with spectral colors. For me, having a real camera is a necessity. The other huge advantage is using the zoom the Canon PowerShot has. The camera is amazing. I bought it last year and it has a 65x optical zoom (21mm–1365mm). Now at the limit it is not that great. But it is amazingly great up to maybe 40 times zoom, which is incredible. It makes taking photos of birds and animals much easier and many other photos also are easier to get. I had biked to Nu eatery in the Hoi An old town but it was closed. Then I tried to find 2 other places I had been meaning to try in old town but couldn’t find them. I ate at one yesterday (it was marked off by 1 street on my Curious Cat Hoi An map, I updated it to the correct location). Then I biked around to another area and found a restaurant I wanted to try but it didn’t serve until 6 PM. So I continued on and got to see this wonderful display of nature.